Η DETROP BOUTIQUE 2016 at a glance! 'DETROP' International Food-Beverage Fair, with more than 25 years of dynamic experience and know-how, is further expanding by holding the 'Detrop Boutique' specialised exhibition. 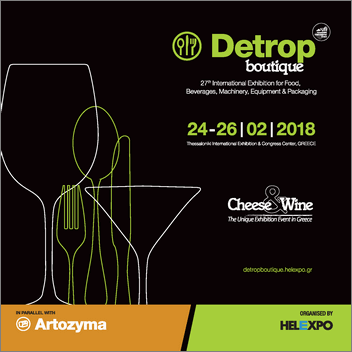 'Detrop Boutique' aims at offering Greek and international visitors an exclusive tour of Unique Greek, Mediterranean, Certified Products produced in Greece, PDO, PGI, TSG products, as well as select labels. 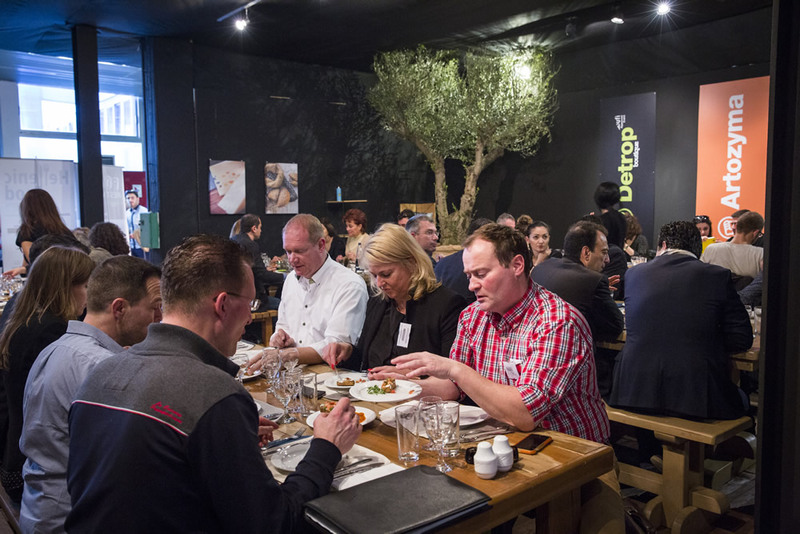 The goal of the event is for sector professionals and connoisseurs of Greek and international gastronomy to better acquaint themselves with the specific products. The combination of traditional delicacies with modern production and presentation methods is at the epicentre of events. Unique cuisine, presentations and seminars by distinguished chefs and many eminent figures of the sector will illustrate how everyday ingredients can be transformed into fine dishes. 'Detrop-Boutique' enriches Greek exhibition reality with a top tier event of strictly high standard professional orientation.